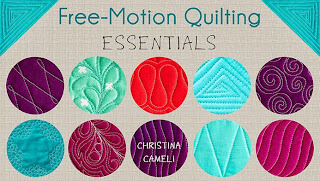 I was thinking about what I can do to help all the beginners who are just taking up free-motion quilting right now. 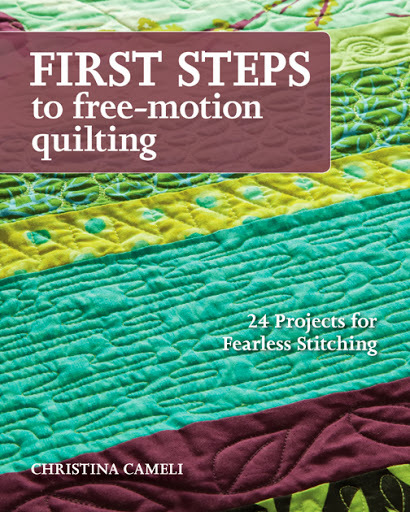 I decided to share a design that I often get new quilters trying in their first class: Loopy Lines. This design is so lighthearted. 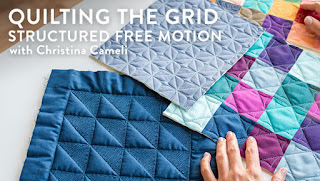 It's something you could finish a whole quilt with, simple enough for a brand-new beginner but still interesting enough to keep a more experienced quilter from feeling completely bored. It is exactly what it says: wavy lines with loops on them. Every now and then a double loop shows up for interest. a. Start with a wavy line, and extend a loop to one side. b. Continue on with the wavy line, and add another loop. Alternate the side the loops are on and vary the distance between your loops. c. Continue on and add a double loop. Make every 3 or 4 loops double loops. The two things I like to point out when I show this design in class are: 1) keep your speed consistent as you go around the loops. It's a universal tendency to want to swing around those loops a little fast but that will give you long funny stitches on your loops, and 2) Avoid making your lines straight: give them a little wave. This is a personal preference thing of course, but the pressure of trying to keep the lines straight is too much. Let 'em wiggle! Everything I've stitched this week has been screwed up somehow and I've had to redo it. Everything except this design. That's how sweet this design is, it will be good to you even when the rest of the world is completely uncooperative. Here's the video to prove it! I'll leave you with a picture of the sunlight through my quilted piece! Happy stitching all. oh another great design, Christina! Thanks so much. I love it, Christina! I'll have to show this one to the ladies at church - it will get a lot of use there, I'm sure! This is a great simple design. Plus you can play with scale to make it more interesting. Thank you so much! I'm gonna try it this weekend! OH, this is one I might even try....looks totally do-able, even for me!! 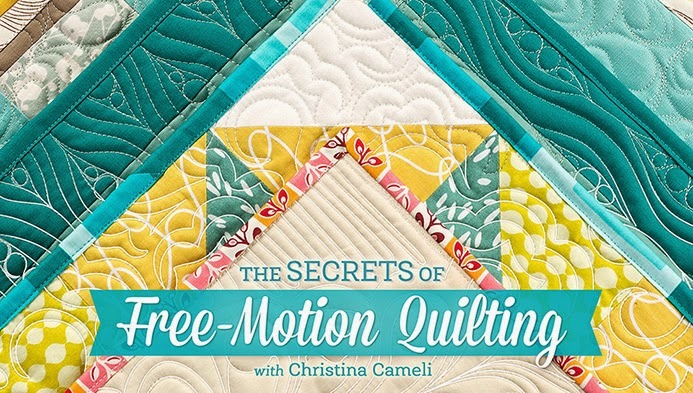 Your tips & techniques for free motion quilting are extremely helpful. Thanks! What a beautiful doable design! I love it. I took your Craftsy class and you have such an at ease way of teaching and making us truly believe we can quilt almost anything. I bought your first book and ant wait until your second book comes out. Thanks for everything! 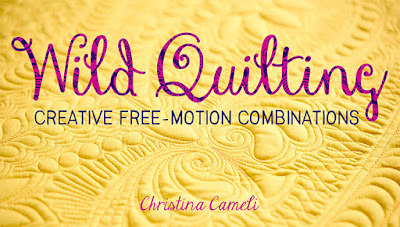 What a lovely Loopy design tutorial and video. Thank you!!! 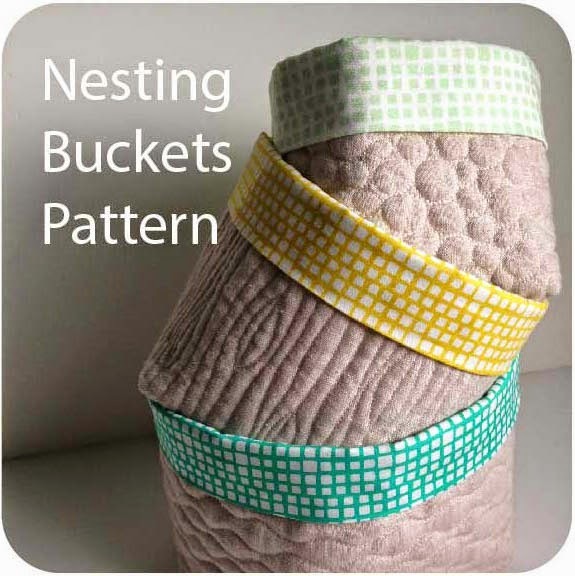 Another great pattern, Christina! I will have to try this one on my next quilt. I wanted something simple and allover. Thanks! This looks fun! 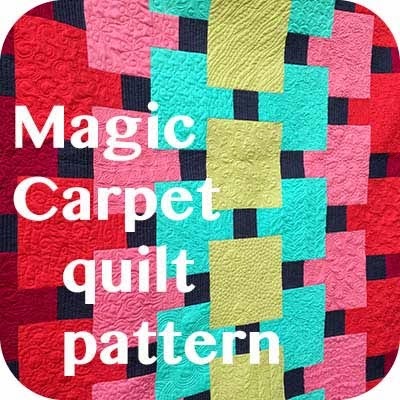 I haven't worked up the courage to try again, but this looks like a good thing to try and I love its whimsy and how it could work really well on a quilt with sashing that needs a bit of breaking up of straight lines. Thanks for thinking of beginners! You are a great teacher, Christina, thanks so much for these videos.